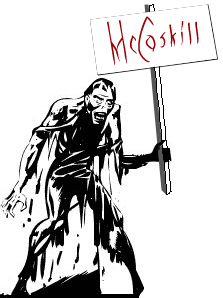 Reboot Congress: #MOSen: Is McCaskill Financing a Zombie Army with Tax Credits? #MOSen: Is McCaskill Financing a Zombie Army with Tax Credits? 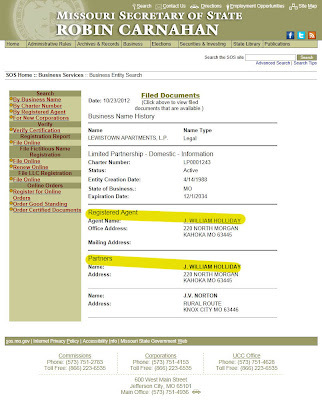 Senator Claire McCaskill's husband, Joseph Shepard, is the man behind Sugar Creek Realty, LLC. When I dug into the $315 million in tax credits that Sugar Creek arranged, I noticed something odd involving a $3 million tax credit that went to Lewistown Apartments, LP. Lewistown was one of three projects that participated in that award, so they probably did not receive the full $3 million. Nonetheless, I question the wisdom of awarding tax credits to a company whose registered agent has been dead since the Clinton administration. 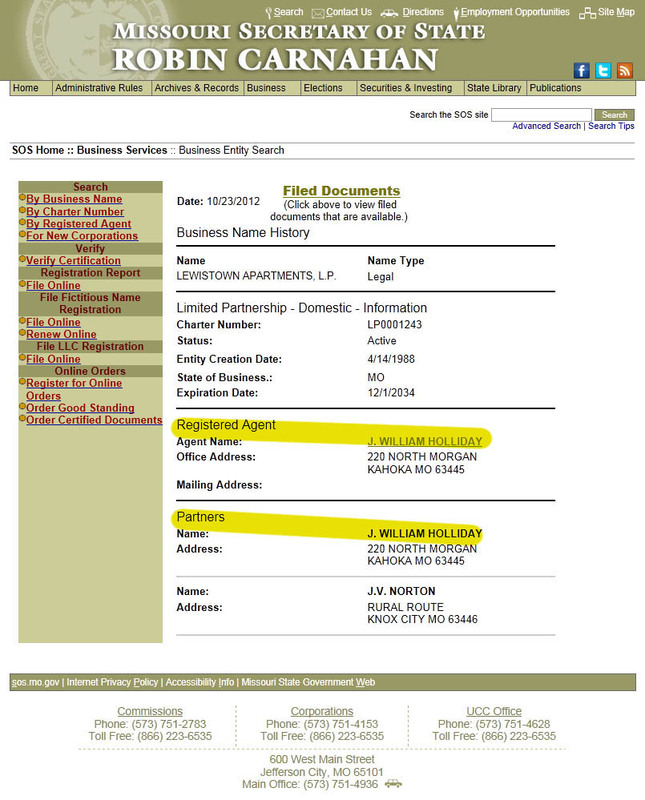 Robin Carnahan's Secretary of State website identifies J. William Holliday as both the registered agent and a partner of Lewistown Apartments, LP. In 2008, why did the Show Me State send tax credits to a guy they should've known was dead? More importantly, is McCaskill, through her husband's businesses, financing an army of zombies with her windfall from low-income housing tax credits? And how can we stop them? On Tuesday, I filed a sunshine request to get more information about that $3 million tax credit. Growing Up, She Thought She Was a Man. Now She’s Fighting the Patriarchy.